Easy care: After using, please dry it up and place it in a cool position. Don't use it in ovens or put in boiled water. Ships from Kong Hong. Color and style: as picture shows. Creative and simple design, easy to handmade baked goods. Hand press handle with a spring make it smooth and simple to get the perfect shape. 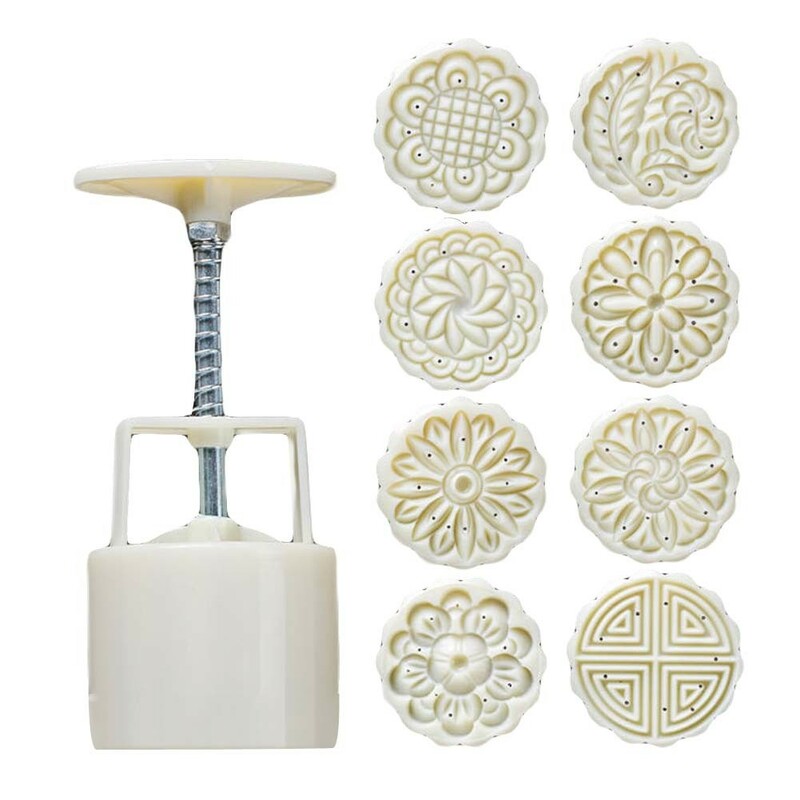 To make beautiful desserts, comfort food, and Lunar Festival moon cakes with these molds. Each stamp can be functioned as a cookie cutter, which is also perfect for making pumpkin cakes, cookies and different kinds of desserts. Suits for Kitchen, baking room, hotel and all kinds of party, especially for those who love traditional moon cakes. Easy care: After using, please dry it up and place it in a cool position. Don't use it in ovens or put in boiled water. Good molds for home baking.